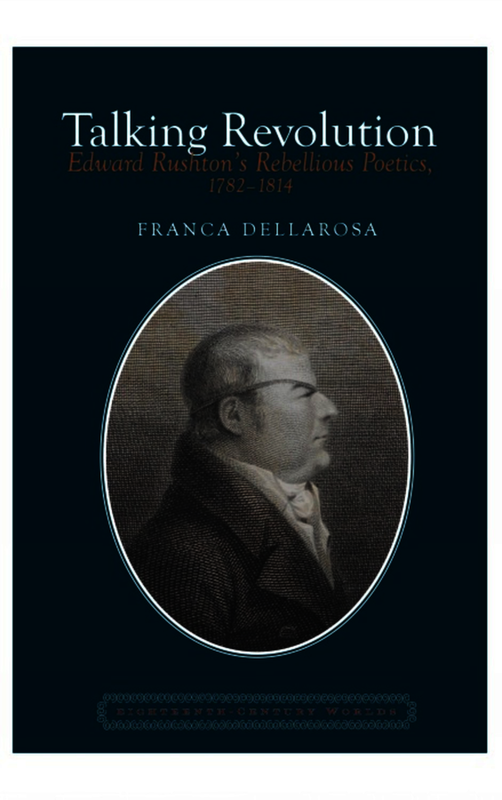 This book is the first academic study entirely devoted to Liverpool labouring-class poet and activist Edward Rushton (1756-1814), whose name was for a long time only associated with the foundation of the Royal School for the Blind in 1791. A former sailor, tavern keeper and editor of a paper, as of the turbulent 1790s Rushton owned a bookshop that was a hub of intense networking with many radical writers and intellectuals. His long-lasting, consistent commitment to the most pressing debates enflaming the Age of Revolution led him to question naval impressment and British repression in Ireland, the Napoleonic wars lacerating Europe and, most prominently, both the transatlantic traffic in human beings and the institution of slavery as such. A dedicated and unrelenting campaigner at the time of the dawning human rights discourse, Rushton was both a perceptive scrutinizer of the mechanisms of power and repression, and a remarkably complex poetic voice, fully consequent to his politics. In this book his work is the object of new and long-due critical enquiry, especially appropriate in the year that marks the bicentennial anniversary of his death. The opening up of eighteenth-century and Romantic studies to cross-disciplinary interchange allows for a more nuanced historical and critical investigation of previously erased or neglected individual and collective experiences. This expanding critical space, which highlights the systemic discursive interaction of culture, politics and society, constitutes the conceptual and methodological frame for what is intended as a comprehensive critical re-evaluation of the writer. 1. It is the first academic study entirely devoted to this underrated Liverpool writer, whose work so far has been object of a limited number of research articles only. 2. It breaks entirely new ground on various relevant aspects, including the uncovering of the only extant copy of the Liverpool Weekly Herald, which he briefly edited (1788-90); the reconstruction of the writer’s connection with Robert Southey;the factual itinerary and reception of the Expostulatory Letter addressed to George Washington. 3. It provides full-length critical analysis of most of his work. 4. It expands on and reinforces understanding of related contexts, including eighteenth-century Liverpool, the press-gang debate, the response to the Irish rebellion of 1798, the anti-war, abolitionist and anti-slavery movements at the turn of the nineteenth century. 5. It takes into account and builds on most recent secondary literature. Dr Franca Dellarosa is Senior Lecturer of English at the Università degli Studi di Bari ‘Aldo Moro’, Italy.